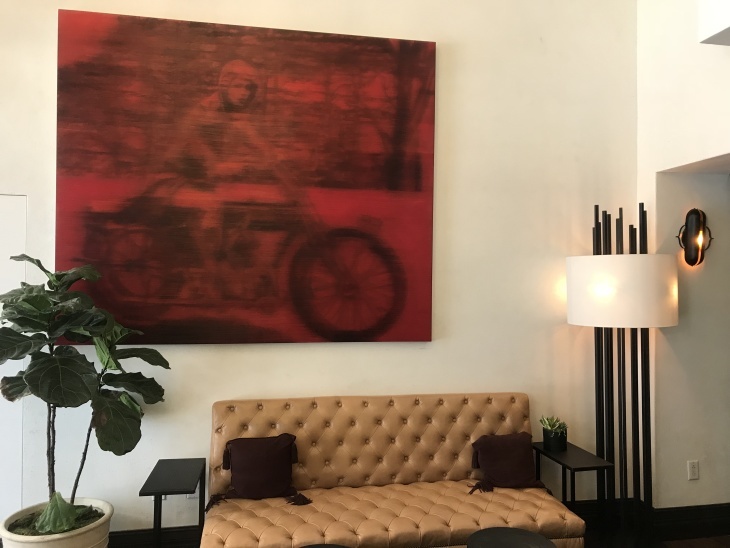 Step inside the recently renovated 14-story Hotel Figueroa, located in a section of downtown L.A. that developers like to call SoDo, and you'll be greeted by a giant red portrait of a woman on a motorcycle. Her name was Maude Bouldin. She raced motorcycles, flew planes and was the hotel's original manager, in 1926. Back then, the Hotel Figueroa was the largest project of its kind in the United States and possibly the world to be financed, owned and operated by women, at least according to the L.A. Times. Considering how women had won the right to vote only six years earlier, it's an incredible achievement. 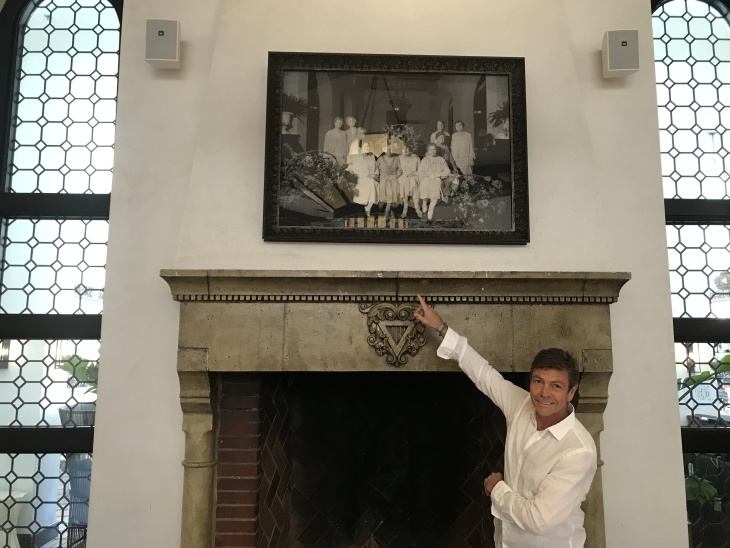 Brad Hall, one of the Hotel Figueroa's new owners, had originally planned to maintain the place as a 3-star hotel when he bought it. 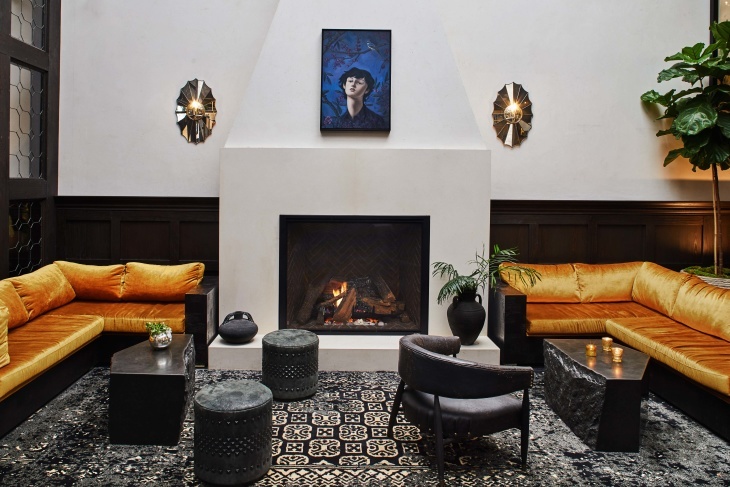 But after he learned about its history in the due dilligence phase leading up to the purchase, he decided he wanted to do a major update, transforming it into a luxury hotel in the original Spanish colonial style. The more Hall learned about the visionary women who built the place, the more he wanted to pay tribute to their legacy. "We have the responsibility, we have the opportunity to bring it back, to rebirth it, to do it in a way that was really true to what its origins where and what its heritage is," says Hall. In the 1920s, women couldn't stay at just any hotel. It wasn't safe to travel alone and doing so could damage a woman's reputation. 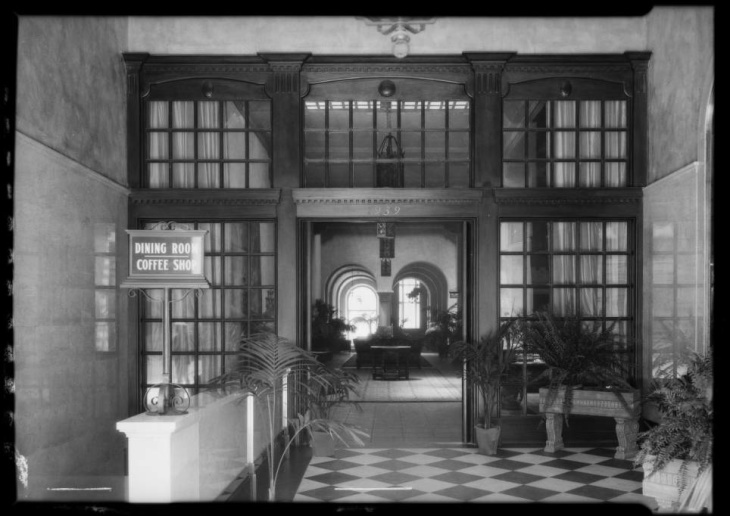 To support working women, the YWCA began to build female-only havens like the Hotel Figueroa. "That's your passport to life — job training, where you work, how much do you make," says Faye Washington, current president and CEO of the YWCA LA. The YWCA built other L.A. hotels, too, like the Mary Andrews Clark Residence and the Hollywood Studio Club, where the young Marylin Monroe lived while she pursued stardom. These hotels created safe spaces for women and were crucial to their economic mobility. But the Hotel Figueroa was the only project where women ran and designed every inch of it. Hall and his partners discovered that the original owners used this place to house artists and host salons and progressive political meetings. They decided to honor that unique history through art. "It was just a natural progression that we wanted to explore female artists. 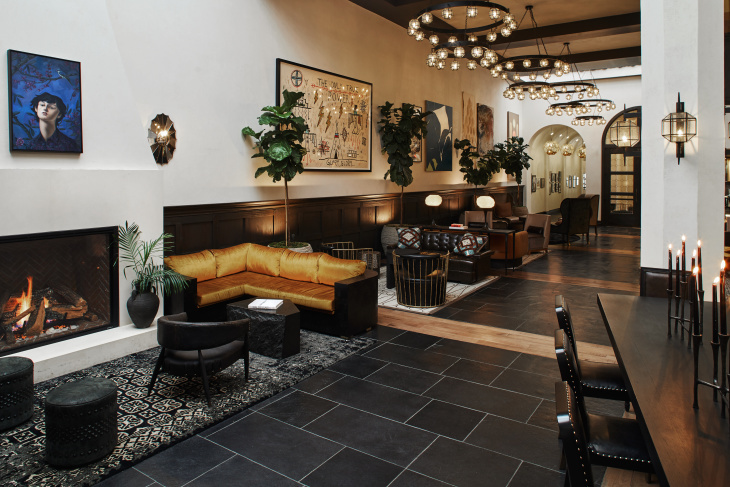 Being that the hotel is in downtown Los Angeles, which is such a vibrant arts community, we decided that it should be L.A.-based artists," says art advisor Tiffany Lendrum. Lendrum, whoserve served as the art consultant on the project, has spent more than two decades consulting for hotels, corporations and private clients. 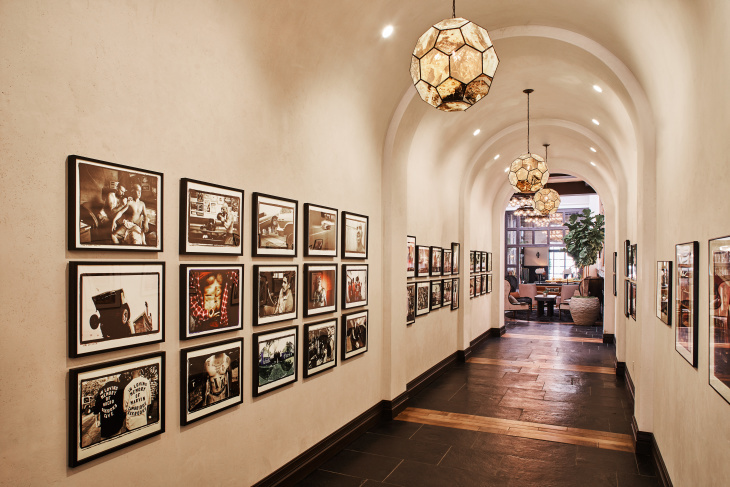 She has never heard of another women-only hotel art gallery in the U.S. The Hotel Fig's gallery is about 25 feet tall and 100 feet long, stretching the entire length of the lobby. All of the dozen or so works are influenced by Los Angeles. "This painting is an ode to the architecture of downtown Los Angeles," says Lily Stockman. Stockman's painting near the hall that leads to the old ballroom, which Hall has meticulously reconstructed to look like it did in 1926. Above the original fireplace hangs a photo of Maude Bouldin and the other YWCA founders. Look at the mantle below and you'll spot a strange insignia, an upside down triangle that appears all over the hotel. 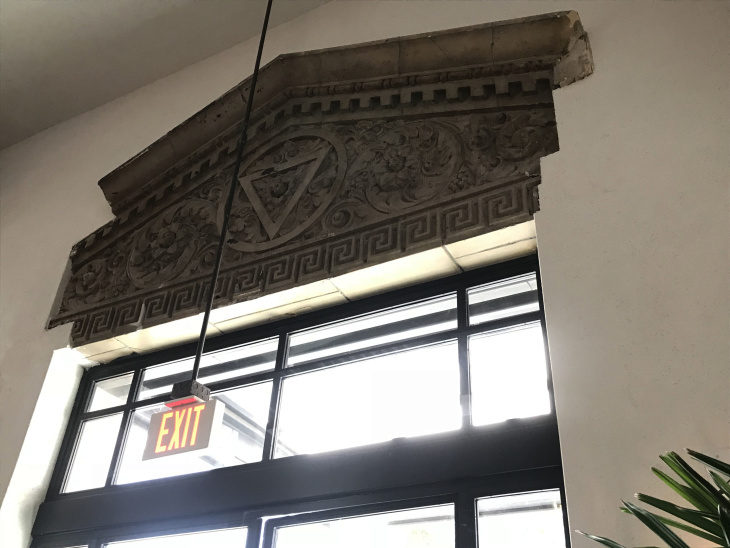 It's above the entrance doors, on doorways and hidden on arches, kind of like the Hotel Figueroa's owna da Vinci code, without the sinister elment. It's actually the original YWCA logo and a symbol of feminine power and strength. "When you learn the history and you start to understand the profile of who these people were and the foresight that they had, the progressive view that they had, the strength that they had, the integrity to their convictions of what they were doing as part of the YWCA mission, what they believed in, how do you not feel some type of responsibility to re-create that? You have to pay tribute to that," Hall says. Hall hopes to host women-centric events in the future, much like the hotel's original owners did. To celebrate its 125th year in Los Angeles, the YWCA held its annual meeting at the Hotel Figueroa earlier this year. "To be here at this date and time and to go back periodically and visit the history that got us this far just creates a profound sense of pride in what we do," says Washington. 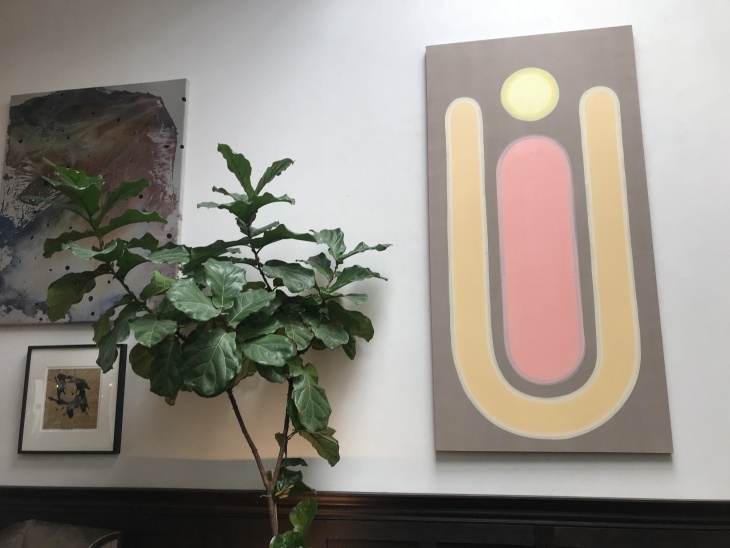 As one of several women commissioned to create art for the hotel, Stockman says, "I feel like the painting is in cahoots with all of those women from the '20s and that there's some sort of mystical element. There's definitely some ghosts in that building that are absolutely delighted that all of the art on the walls was made by women." 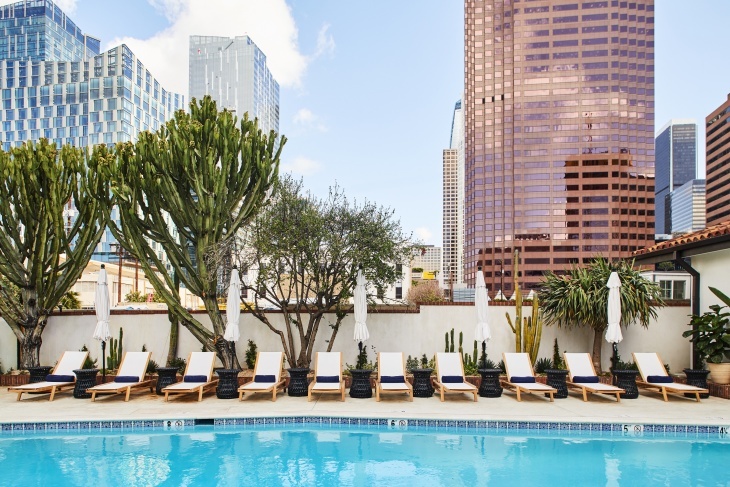 The Hotel Figueroa is now open for guests and has several restaurants and bars within the hotel.